Founded by the Curators of haute parfumerie MiN New York in SoHo New York City, a private assembly will take flight this Fall. Fragrance Flight, the most exclusive olfactory club in the world, is by-invitation, for scent connoisseurs only. New York, NY, August 08, 2012 --(PR.com)-- Founded by the Curators of haute parfumerie MiN New York in SoHo New York City, a private assembly will take flight this Fall. Fragrance Flight, the most exclusive olfactory club in the world, is by-invitation, for scent connoisseurs only. Built upon a foundation of fifty highly respected International olfactory and luxury experts (industry professionals, perfumers, journalists, and bloggers), Fragrance Flight’s immersive platform fuses the best features of popular social media hubs (Pinterest, basenotes, nowsmellthis, Facebook, etc.) with traditional members-only social clubs. “We stand on the threshold of a fragrance revolution. It’s important to lead and serve our passion with other experts who genuinely care. Transforming virtual community islands into tangible, authentic moments centered on sensory exploration and curated lifestyle will facilitate how we gather, share, learn, and grow together. 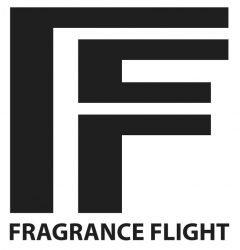 Fragrance Flight is custom tailored to serve the needs and desires of individuals who are serious about scent,” said Founder Chad Murawczyk. "Communities are all about the people involved... By transcending organizational structures and boundaries, our influential collective will nurture and grow via diverse experiences, perspectives, and talents," said Murawczyk. · a fully searchable database of perfumers, notes, tips, and over 10,000 fragrances. · industry buzz, article, videos, podcasts, events, & reviews. · ever evolving collection of perfumes, including the latest and most compelling new launches. · exclusive opportunities to engage with each other and with International thought leaders and true creators, the heartbeat of the perfume world. · flash deals & perks to perfumes, extraordinary events, workshops, culinary, wellness, entertainment, & artistic experiences.